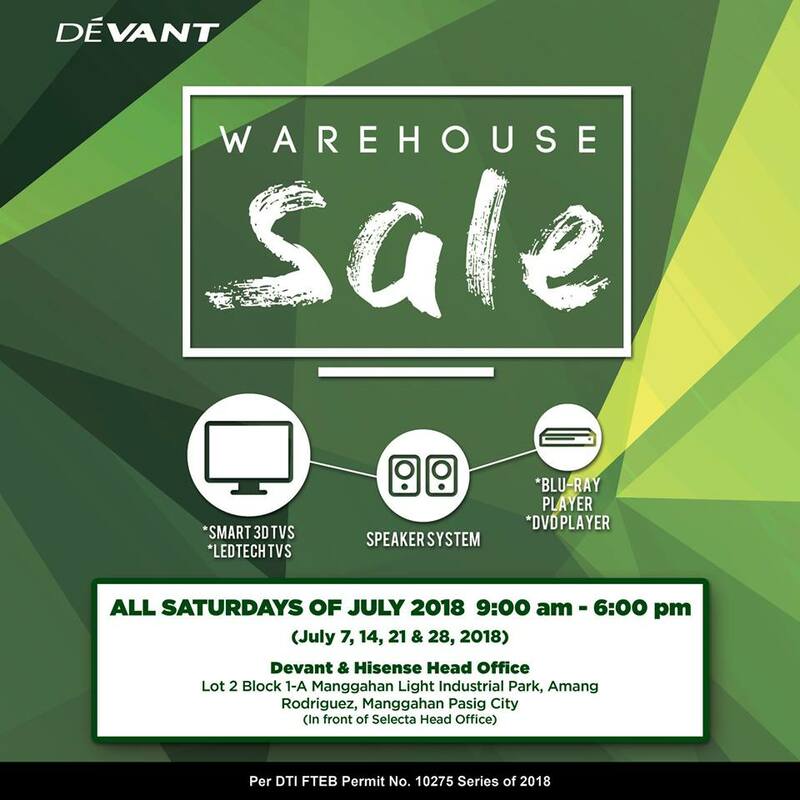 The biggest Devant Warehouse SALE is here! Get up to 50% off on all Devant products (Smart TV, LED TV, Speaker System, Bluray/DVD Players, and more) on all Saturdays of July (July 7, 14, 21, & 28), 2018 from 9am-6pm at Manggahan Light & Sceince Park, Pasig City. Hi is this still on sale?